2018 Sisters In Service Honorees – Women of Klutch N Khrome ‹ Black Girls Ride Magazine | Motorcycles, Accessories, Biker Fashion and Events for Women Who Ride! 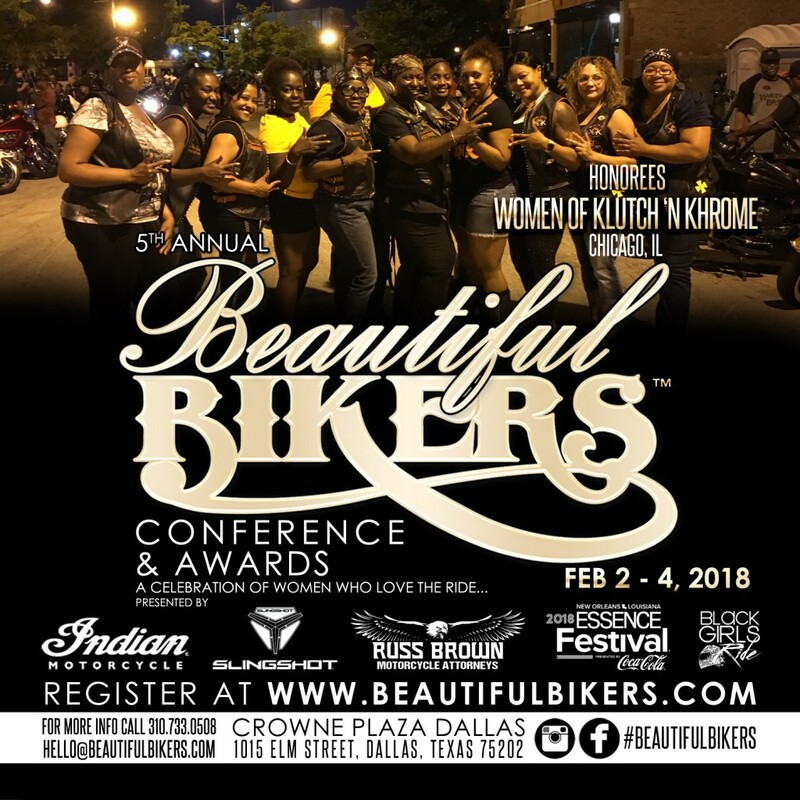 We are excited to announce Women of Klutch N Khrome MC as the honorees for our 2018 Beautiful Bikers Sisters In Service Award, presented to a club who has exhibited excellence in community service. Founded in 2010 under the Klutch-N-Khrome MC umbrella, the purpose of Women of Klutch-N-Khrome Motorcycle Club is to promote Sisterhood, Structure, Unity, and Respect in the motorcycle community. WKNK MC Chicago, now known as the mother chapter, has 14 active members, and has expanded to include chapters in Milwaukee, Atlanta and Detroit. The Women of Klutch N Khrome MC love to ride, and actively serve their communities, with weekly summer bike nights, feeding the people of Chicago for free. We are inspired by their commitment to service and proud to add Women of Klutch N Khrome MC to our Beautiful Bikers Legacy. 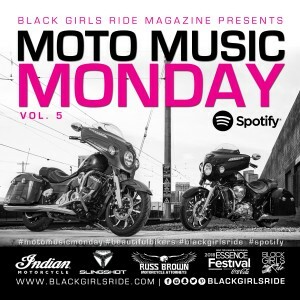 Moto Music Monday Vol. 5 Is Live!